While the demise of physical retail abroad - at least as we've come to know it - is sure to cast a shadow on the plans of local counterparts, retail consultant Brett Kaplan believes the long-term outlook for local apparel retail is a good news story. This view was expressed in a talk he presented recently on the 'Apparel Retail Landscape in South Africa' at the ATF Trade Exhibition and co-located China Premium Tex expo held in Cape Town. 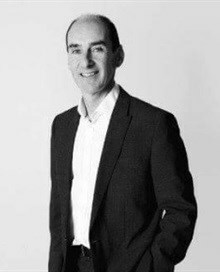 Kaplan spent over three decades working for Woolworths as the MD for Clothing and General Merchandise, assisting in growing the once family-owned business into the southern hemisphere retail giant it is today. Off the corporate treadmill for three years, he now operates as an independent retail consultant for Choppies Superstores, among other businesses. His presentation kicked off with some insight into the trend of 'globalisation', which is fundamental to understanding the global retail shifts taking place. "We all operate in literally one global marketplace, and there's no place to hide in retail," Kaplan said. Southern hemisphere retailers – like Cotton On, Country Road, David Jones, and TFG that bought Australia's Retail Apparel Group – are expanding their presence in the south, but are also moving into the northern hemisphere, as can be seen in Brait's purchase of New Look, TFG's stake in Phase Eight and Truworths' acquisition of Office, all in the UK. Meanwhile, northern hemisphere retailers are coming south. A prime example is H&M, which has become a dominant force in South Africa as a northern retailer. "With the growth of store footprint comes scale, and that allows retailers to expand their margins and significantly offer even better value to the customer." Kaplan, however, warned that a cut-and-paste approach to cross-border expansion is often too simplistic. He noted that South African consumers are unique; they look at print, style and colour differently, and it's vital to be aware of that. "An example is Woolworths' private label and David Jones Australia. The market is different and it has been difficult to just transplant the Woolworths private label into the Australian market. A cut-and-paste process is not as easy as it seems." In addition to economic woes, the popularity of new global entrants into the local marketplace also places significant pressure on local retailers. H&M has a huge presence, occupying flagship status in some of the country's key malls like the V&A Waterfront, Sandton and Cavendish. Australian retailer Cotton On has rolled out over 100 stores, with similar positioning to Mr Price. Zara, on the other hand, which has a massive global presence, has been rather conservative with its roll-out despite having been in South Africa for some years now. According to Kaplan, these retailers all have the benefit of massive scale, global sourcing and margin benefits that allow them to dominate with competitive pricing. "Local retailers are having a tough time. It's a low growth environment with weak consumer demand. Local retailers are achieving at best single-digit growth, which might continue for some time. The days of the dominance of the Edcon Group are over. At one point Edgars had a market share of over 30%, but those days are gone as they've experienced years of decline ... and local competitors like Woolworths, TFG and Mr Price are coming to the fore with better formats and stronger offerings." SA's clothing retail sector is hanging by a thread after nearly a decade's strong performance. The future of local retail is not all doom and gloom, insisted Kaplan. The changing demographics in South Africa, notably the burgeoning black middle class, also referred to as LSM 8-10, is a positive trend for retail. "There's lots of negativity around South Africa when it comes to politics and the economy, but the good news is that the longer-term demographic picture is somewhat more exciting and should assist in building the local economy as the growth of the black middle class gets growing." Retailers catering to LSM bands 3-6, like Pep and Ackermans, are especially benefitting from this demographic shift, with the lower LSM bands 1-3 now moving into their space. Pep specifically shows dominance in the smaller towns in SA, he said. Kaplan churned out stats that support his positive outlook. "80.2% of South Africa is black, with white at 8.4%. Gauteng has 23.9% of the population. More importantly, 40% of them are LSM 8-10 ... there are wealthier, middle-class black people in Gauteng. The importance of Gauteng as the economic powerhouse cannot be ignored." In relation to the above, Kaplan pointed out that our ageing population is another positive trend for retail. The 35-years and older population group moved from 34% in 2015 to a predicted 41% by 2030, which means this age bubble is moving northwards, and these consumers spend more money on retail, cars and housing. He noted that 25% of adults are now in the LSM 8-10 category, with a compound annual growth rate of 5.5%. "When we step back and look at this upward trend line it's encouraging, especially considering our current economic woes. I'm talking about a three, to five, to ten-year trend line that's moving upwards. The population is getting older, wealthier and is being urbanised in the big centres." Kaplan touched on the need for retailers and shopping malls to become destinations, a trend that he said Sandton City and the V&A Waterfront have implemented to great effect. What plays into this is the pairing of fashion with food, which he said is a significant combination in the fashion retail mix because it keeps customers lingering in store for longer. No retail discussion is complete without reference to the proliferation of online retail. While Kaplan noted that online is still quite small in South Africa, occupying roughly 2% to 3% of the apparel market, it's growing significantly especially when compared to bricks and mortar retail. "The UK has 13% of sales dedicated to apparel online, while in China 17% of apparel sales are done online. So there's plenty of growth for online retail in SA, and companies like Takealot seem to be leading the way."